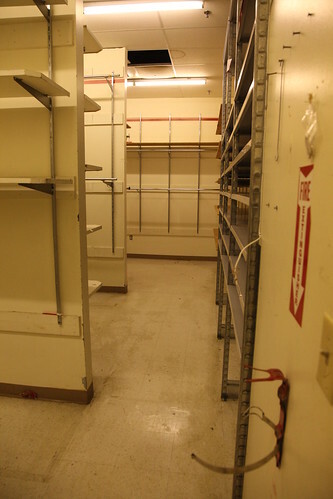 Acres of shelving fill the expansive, multi-nook back room in the old Victoria's Secret. I did find the missing fire extinguisher. Imagine how much it costs just to leave these lights on?